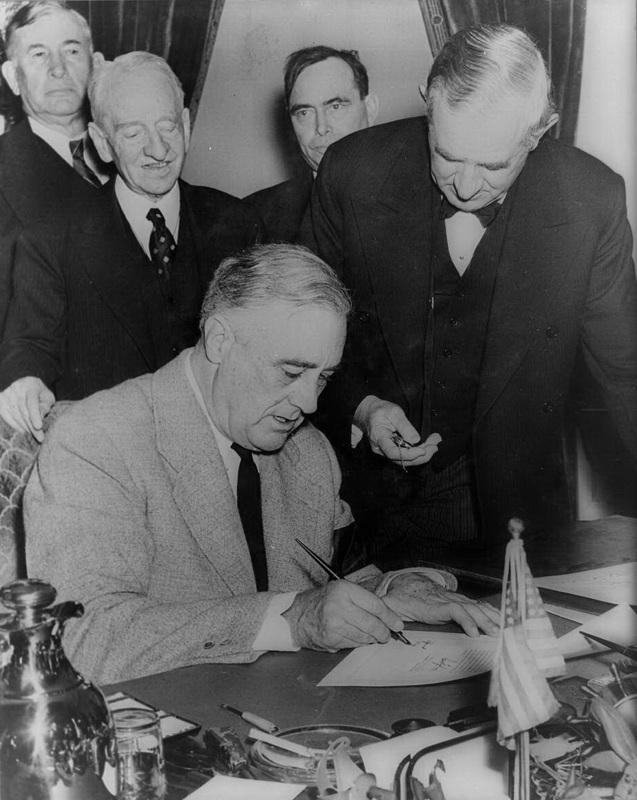 President Roosevelt Signing the Declaration of War Against Germany. December 11, 1941. Office of War Information Photo.